The bench press is the most popular weight training exercise on the planet. Which is probably why the first question you usually get when you let people know that you work out is . . .
It’s no accident that the bench press has attained that lofty position. 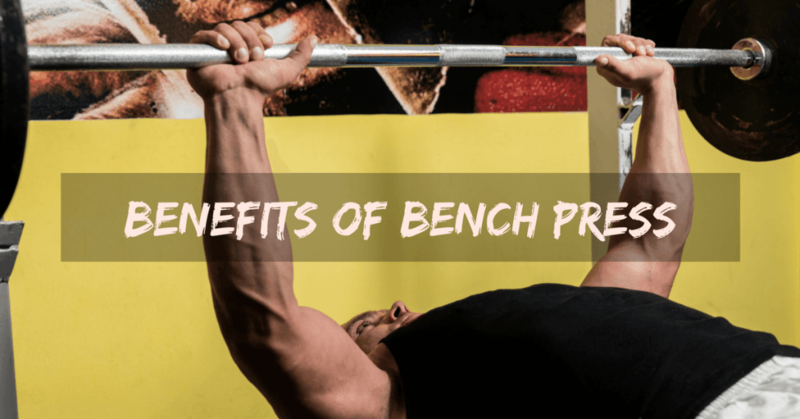 Let’s investigate the 5 key benefits of bench press. When it comes to upper body strength, the bench press has no parallel. It will get you quicker stronger than anything else. In fact, most newbies will be able to improve their bench press weight by about 40% in the first 6 months of training (1). When you get stronger in the bench, you will not only be improving your ability to push a weight directly up from your body. You’ll also be getting stronger in the overhead press. In addition, your triceps, core, and lower back will strengthen up significantly. The target muscle of the standard bench press is the chest. Of course, there are a whole lot of other chest exercises you can do, from push ups to cable cross-overs. But there is nothing that will allow you to place the amount of overload resistance on the pecs that you can achieve with the bench press. And, as you know, it’s overload that builds muscle. The prime mover in the bench press is your pec major. As the name suggests, this slab of beef makes up the thick, meaty portion of your chest. Making it bigger will give a guy the look of thick, raw power. This is the muscle that is responsible for pushing the weight away from your body. The bench press also hits the minor pec, which lies under the major pec. Building the minor pec will lift your chest and push it out. It will also increase your strength on moves that require scapular downward rotation. Bench pressing will also give you crazy strong delts. As a result of the overload, you’ll be able to build impressive medial and anterior delt muscles. The combination of thicker chest and wider shoulders will stretch your T-shirt fabric to the breaking point. It turns out that bench pressing, not barbell curling, will get you there faster. Two-thirds of the upper arm are comprised of the triceps, and the bench press directly hits all three heads (medial, long and lateral). As a heavy bencher, you will naturally get bigger arms. In addition, you will be boosting your strength on all pressing exercises. An often forgotten benefit of benching is that it develops and strengthens the serratus anterior muscles, located between the armpit and the ribs. Well developed serratus muscles not only look great, but they will also improve the functionality of your core and make you more powerful in twisting motions, such as when punching or whacking a baseball. Who would’ve known that benching makes your bones stronger? But, that’s precisely what a 2014 study by Shanb, et al. revealed. The study, which was published in the Journal of Family and Community Medicine, showed that people who exercised with the bench press increased the bone mass density of the lumbar spine, the right neck femur, and the right distal radial head. The study authors recommended that elderly people with osteoporosis would do well to incorporate bench press training into their lifestyle (2). 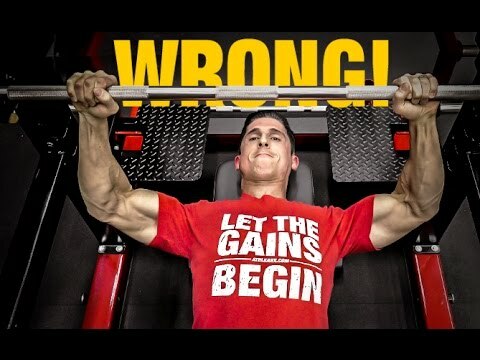 Ready to do bench press & their variations at home? We recommend these barbell & weight bench. When you force your body to lift an extremely heavy weight, such as you do when benching, your body’s natural production of testosterone goes into overdrive. That’s why guys who are intent on packing on mass simply must bench – along with squatting and deadlifting. 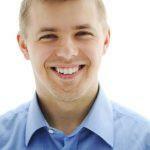 The more testosterone floating around your system, the stronger you’ll be – and the more muscle you will build (3). As the ultimate free weight exercise, the bench press improves your body’s ability to move through a natural range of motion. Unlike machines, it recruits stabilizer muscle groups and allows the body to balance and resist gravity. 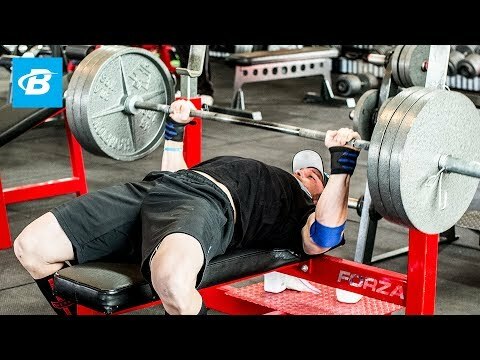 Some people have complained that the bench press is not a functional exercise because you hardly ever replicate the benching movement in real life. The truth is that strength in the upper body is relatable to any movement. And there is nothing that will develop that strength as efficiently as the bench. If you are developing your body as a whole – as you will when doing the bench, along with squats and deadlifts – you will be able to you will be able to transfer the power that you develop and utilize it in a functional way. So, the fact that the bench press doesn’t precisely simulate the body positioning and directional force of the scrum in the game of rugby, doesn’t mean that the bench won’t make you a better scrummer. If you’re serious about getting big and strong, there’s absolutely no reason why you’d want to leave the bench press out of your routine. This master move is far more than a chest exercise. It is a complete upper body exercise that hits the chest, delts, arms, and core. So, how much ya’ bench? (1) Saeterbakken AH, Van Den Tillaar R, Fimland MS (2011). A comparison of muscle activity and 1-RM strength of three chest-press exercises with different stability requirements. J Sports Sci. 29(5):533–538. Duffey MJ (2008). A Biomechanical Analysis of the Bench Press. A Dissertation in Kinesiology, Pennsylvania State University. 91. Saeterbakken AH, Van Den Tillaar R, Fimland MS (2011). A comparison of muscle activity and 1-RM strength of three chest-press exercises with different stability requirements. J Sports Sci. 29(5):533–538.